compartments can also be supplied. Each box is complete with fly-over for cable segregation. trunking size to above part number). 75mm deep as standard, other depths available. 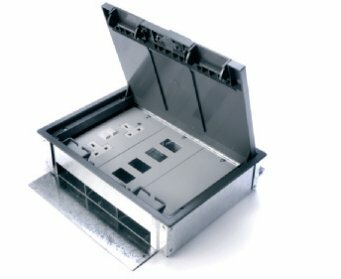 socket (Add trunking size to above part number). 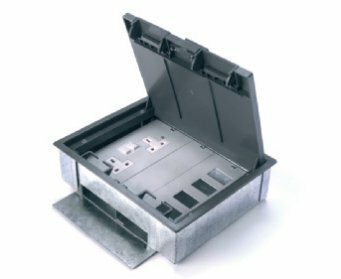 Carpet trim and lid assembly manufactured in a tough plastic moulding which has two individual hinged cable outlets colour dark grey. 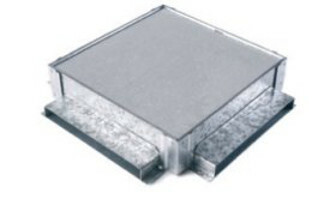 The lid is reinforced by a 3mm steel plate. Carpet recess 6mm.